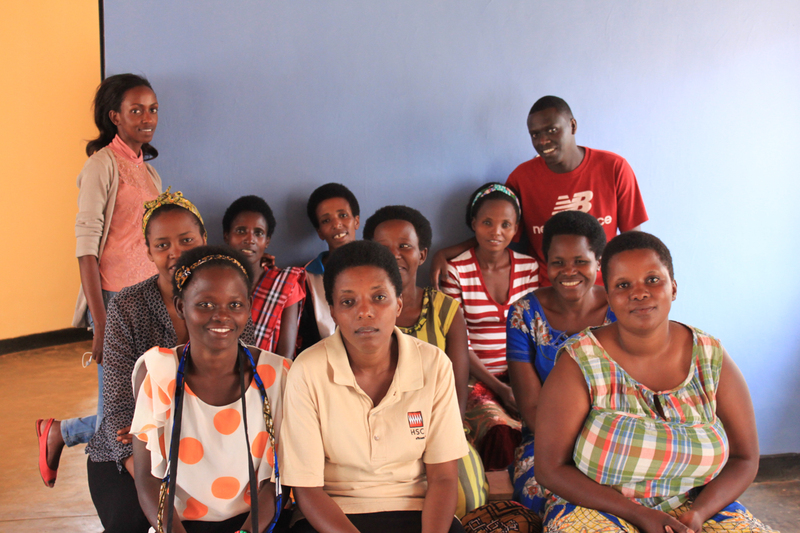 On the 2nd of August, the medical team went to Gikondo to treat BFR staffs and their family members. 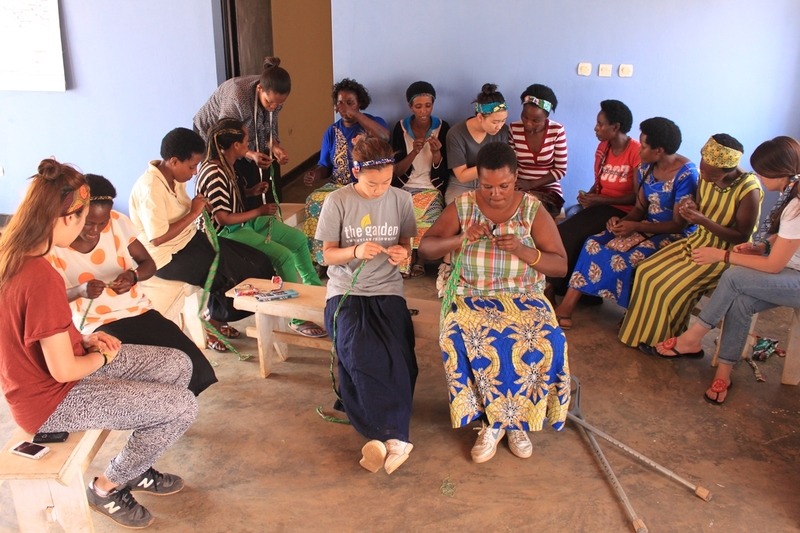 The education team went to Kinyinya where Itara (means love in Kinyarwanda) was sharing a local community center as their workshop. Itara was created by GCFC under BFR’s supervision in order to instill much needed self-esteem to BFR moms. They are mostly single moms and victims of the Genocide. Most of them worry about daily bread, sadly. 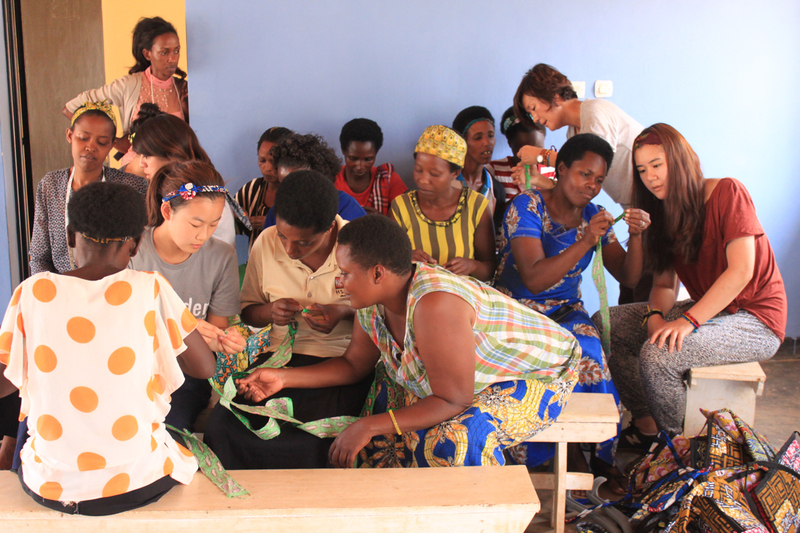 GCFC donated 8 sewing machines and hired an instructor to teach them how to use the machine. 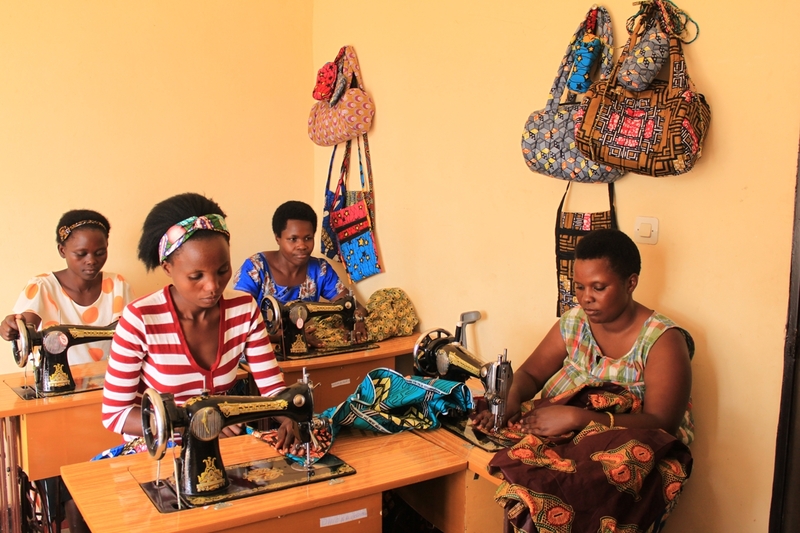 Furthermore, they will learn how to produce marketable handicraft which will bring financial benefits. Water station in front of the community center. 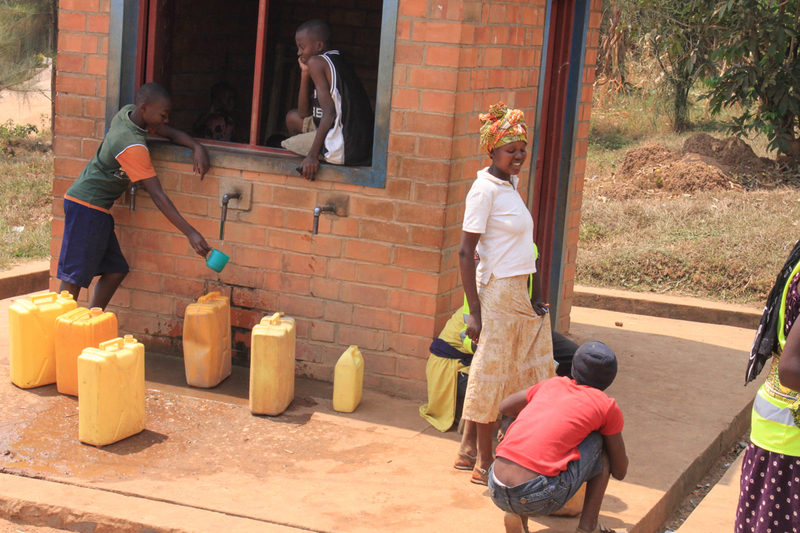 Rwandan government had very high priority for developing potable water supply nationwide for the last 15 years. About 85% of population now has the access to safe water. Their goal to reach 100% coverage is by the end of 2017. Itara moms and BFR/Itara staffs. 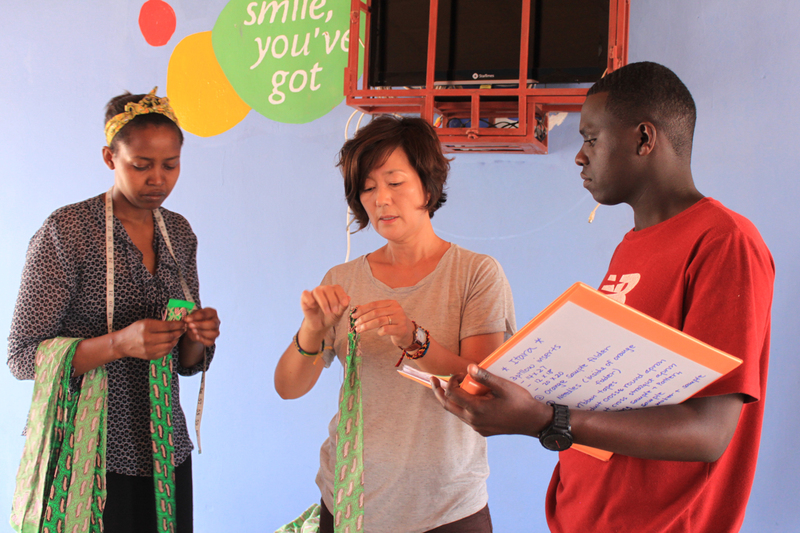 Education team members finally had a chance to demonstrate their secrets of making perfect rosettes. These rosettes will be used to decorate some handicrafts they will be producing in near future. 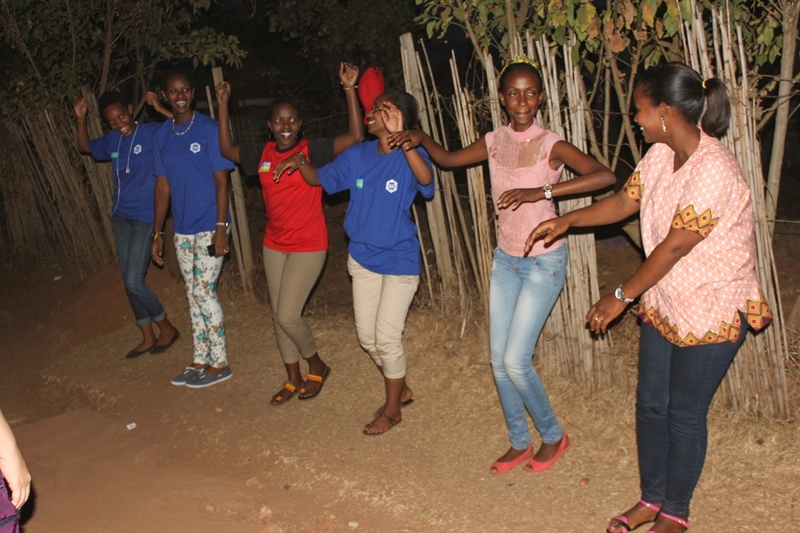 And Itara moms were very eager to learn and they actually mastered the technic rather quickly. 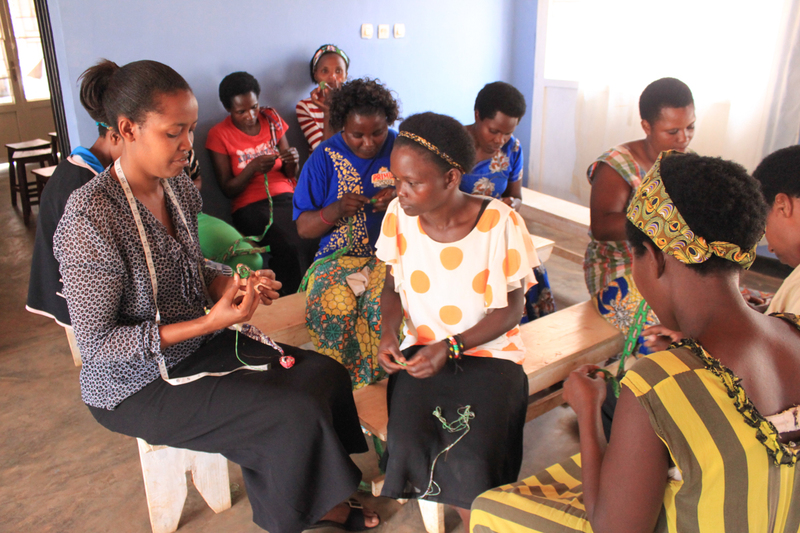 Itara moms working on some prototypes. By the time we got back to Gikondo, the medical team was still treating BFR staffs and their family members. 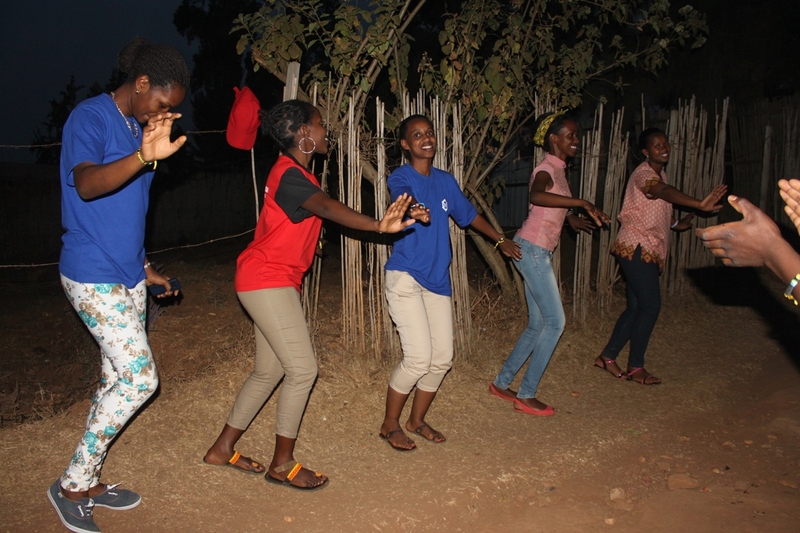 As we wrapped up the day, BFR staffs treated us with their folk dances to show their appreciation.